Why are you at Waseda and what do you want to do with your life? These are good questions which you might, or might not, already have the answers to. But what you need to know is that your time at Waseda will probably be the period in your life that is the most interesting and which you will remember the most when you get older. So why not make it really interesting? Take the chance to think beyond your normal horizon and challenge yourself in ways that you have never tried before. This is the real reason why the university exists. Waseda and other schools exist not simply so you can get a job after graduating, but so you can become a more complete and dynamic person who leaves his or her mark on society. Whatever your major or field of study, try to think and to learn not simply new things but also new ways of thinking about yourself and the world. No one else can do this for you; but it is something you can do for yourself and it will be the best gift you could ever give to yourself. How could you do this? There are many ways: one way is to think about issues and ideas that you may have noticed, but never really gave any thought to before. Another way is to meet people whom you have never met before, especially those who are different from you. 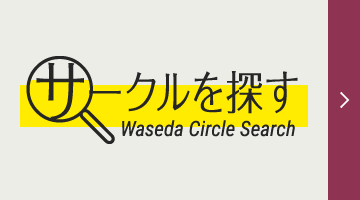 Other ways to get the most out of your time at Waseda include doing volunteer work and also traveling to places that you have never been before. The hardest thing for people to do is rethink things they have already been taught. So why not trying doing this? For example, take some time and think about the things you might have already learned about yourself, society, and the world. Does your experience now match the things you have learned? If not, maybe you might want to adjust and refine your thinking and ideas so that you don’t simply take things for granted. If you have strong ideas and opinions, these should be backed up logic and by experience, rather than simply by memory or repetition. Think about the future and the chance to do something different and meaningful, whether you can do it full time or part time. Material things are important, but human beings are also made up of mind and spirit, not just flesh and bone. 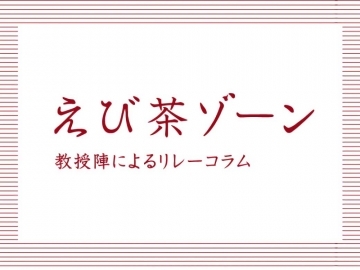 Sharpen your mind and spirit once in a while and begin while you are at Waseda!